Continuing in my yearly series of Zodiac symbol lunches, here is Pisces. 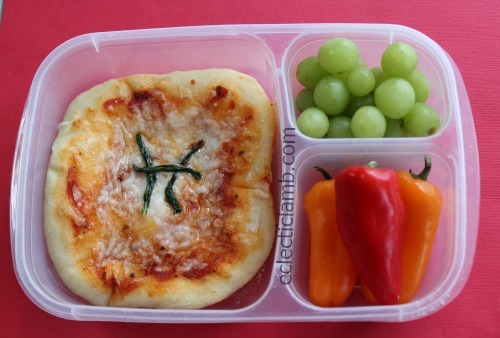 Left Side: Homemade pizza with tomato sauce, mozzarella, and cooked spinach Pisces symbol. I like it, because I am Pisces!